Truth time. Is there anything cuter than chubby baby legs in a pair of leggings? I'll go ahead and tell you the answer- it's no. 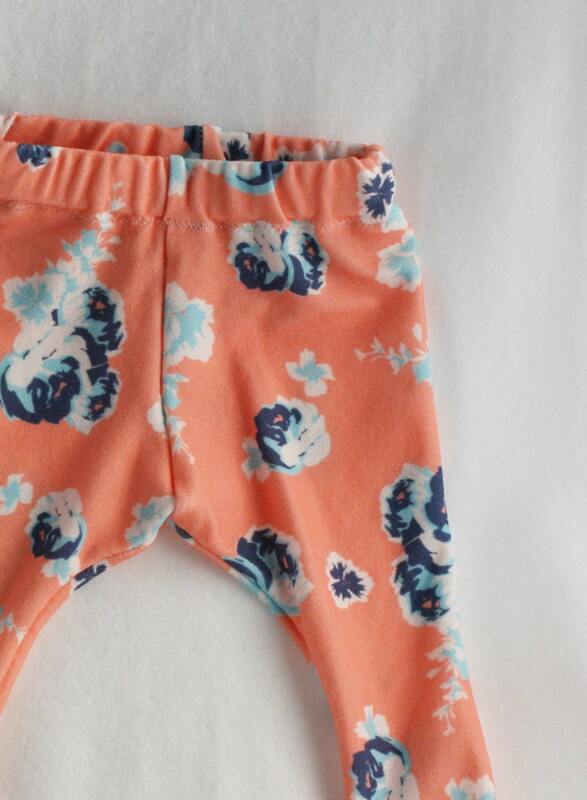 I'm here to make sure your little one has the cutest leggings to put those adorable little legs in. Made with 100% cotton knit fabric and an elastic waist they are serged for durability which means these will go from the car seat to the playground and back home again with no problem. Unless there's melted ice cream, there's no defense against melted ice cream. But! Since they're easily washable in cold water and dried with a little tumble, melted ice cream isn't much of a match either! Basically, these legging are awesome. *Please remember that different monitor setting may distort the color slightly but nothing crazy. *Also, since I make each one by hand especially for you, fabric pattern placement may vary from what you see in the photo.